Microsoft has signaled that it may take a massive write-off of its Nokia acquisition, perhaps as early as July. 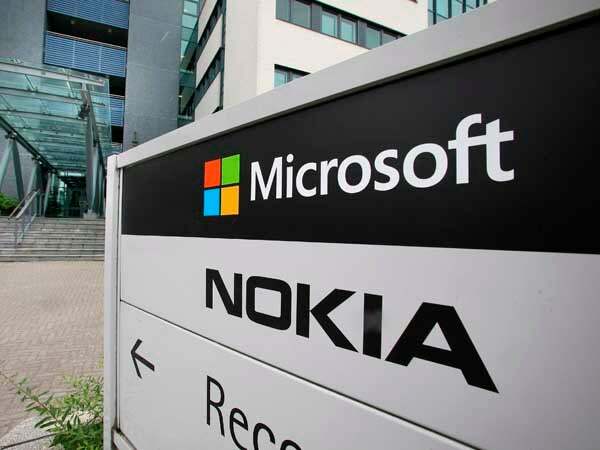 In the 10-Q filed with the U.S. Securities and Exchange Commission (SEC) last week, Microsoft said that its Phone Hardware division, which is based largely on the Nokia assets acquired last year for approximately $7.9 billion, lost money in the March quarter. With revenue at $1.4 billion for the period, Microsoft said, cost of revenue exceeded sales by $4 million, meaning the company lost about 12 cents -- even before marketing, R&D and other expenses were factored in -- on each phone sold. More importantly, Microsoft also warned investors that it may need to write off some of the Nokia acquisition. "Given its recent performance, the Phone Hardware reporting unit is at an elevated risk of impairment," Microsoft said, using a term to describe the situation when the market value of a business is less than what's carried on the books. In such scenarios, corporations are required to balance accounts by taking a charge against earnings to the tune of the difference. "Declines in expected future cash flows, reduction in future unit volume growth rates, or an increase in the risk-adjusted discount rate used to estimate the fair value of the Phone Hardware reporting unit may result in a determination that an impairment adjustment is required, resulting in a potentially material charge to earnings [emphasis added]," the company continued. Ben Thompson, an independent analyst who reported on Microsoft's 10-K statement on Friday, translated the accounting-speak. "A very, very big write-off -— and associated quarterly loss -— is coming soon. What a disaster!" wrote Thompson on his Stratechery.com (subscription required). Microsoft currently carries $5.46 billion in "goodwill" from the Nokia acquisition on its books, as well as another $4.51 billion in intangible assets. The Redmond, Wash. company had attributed the Nokia goodwill to "increased synergies that are expected to be achieved from the integration of NDS [Nokia Corp.'s Devices and Services business]." That value may now be greatly overstated, Microsoft acknowledged. "The valuation of acquired assets and liabilities, including goodwill, resulting from the acquisition of NDS, is reflective of the enterprise value based on the long-term financial forecast for the Phone Hardware business," the firm said in last Thursday's 10-Q. "In this highly competitive and volatile market, it is possible that we may not realize our forecast." It also admitted that its phone business was in trouble. "In the third quarter of fiscal year 2015, Phone Hardware did not meet its sales volume and revenue goals, and the mix of units sold had lower margins than planned," the company stated. During a Thursday conference call with Wall Street, Microsoft's CFO, Amy Hood, did not mention the possible write-off of the Nokia investment, but said that the company was reducing costs in the division. She also told analysts that an earlier forecast to reach break-even on phones in fiscal year 2016, which starts July 1, was at risk. "That said, the changing mix of our portfolio to the value segment and the significant negative headwind from [currency exchange rates] will impact our ability to reach operational break even in FY16," Hood said. The last time Microsoft wrote off a major acquisition was in July 2012, when it took a $6.2 billion charge related to the purchase five years before of aQuantive. Microsoft bought the online marketing company for $6.3 billion, at that time its largest-ever deal. The write-off had been preceded with a warning similar to that issued last week for Nokia, although Microsoft's phrasing then was more cautious about the possibility of an impending charge. For example, it did not use the words "elevated risk of impairment" at that time, as it did in the recent 10-Q about the Nokia investment. "Among our reporting units, the fair value of OSD has been the closest to its carrying value and is most sensitive to changes in assumptions," Microsoft said in March 2012, referring to its then Online Services Division (OSD), where the aQuantive acquisition had been placed. "We will continue to monitor OSD as we complete our annual planning process and evaluate results." Three months later, Microsoft announced the $6.2 billion write-off. The Nokia acquisition was one of the last moves made by former CEO Steve Ballmer. The deal, revealed in September 2013, has been both acknowledged by analysts as necessary to keep the company in the mobile game, and criticized for its inability to materially improve Microsoft's fortunes in the smartphone market. Outwardly, Microsoft has remained bullish about its device business, but last week even CEO Satya Nadella hinted at underlying problems. "We continue to demonstrate momentum in the value smartphone segment of the phone market, driving 18% growth in Lumia volume this quarter," Nadella said last week. "However, we need to take further action to reduce our costs across devices as we execute on our Windows 10 first-party hardware plans." Microsoft does its impairment calculations annually at the beginning of May. If it wrote down part or all of the $5.46 billion in goodwill related to the Nokia acquisition, it would do so in the current quarter, which ends June 30, and probably announce it in July, either at or before its next scheduled earnings call with Wall Street.